A lovely little book for dreams. 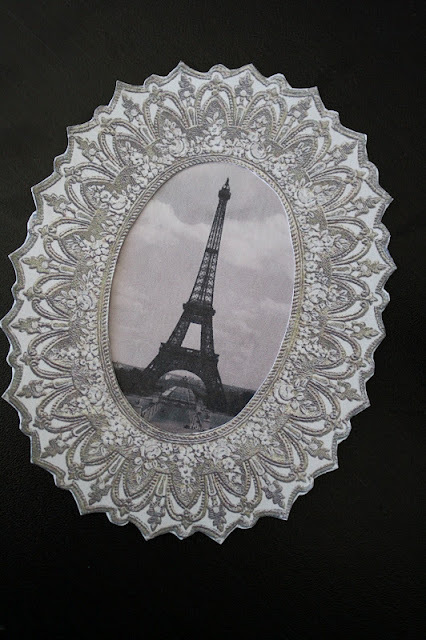 Print out a Vintage Frame from the free printable section at World Label. I printed mine on white cardstock. I did have to change the printer setting where it says "fit to page". 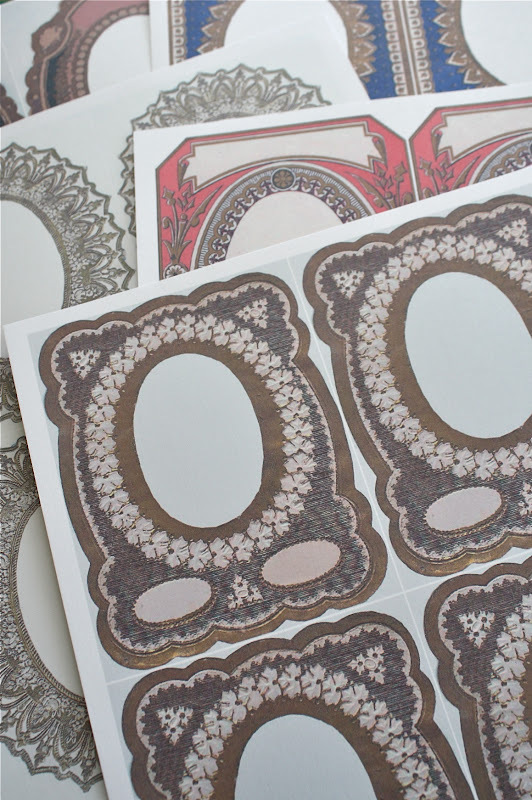 I am quite sure if you explore World Label you will find label paper that matches the template which could be very convenient for many projects. But today, I don't have any so I have to stick with cardstock. And that's okay. I actually printed quite a few just to test out the different styles. Once I decided on which one I wanted to use, I just cut it out. You could leave the center intact but I chose to make it a window. Now back to the computer with my frame and a ruler. I need an image or saying at least 2" across. 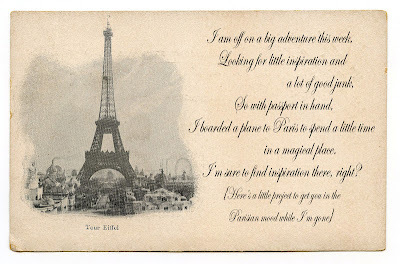 I found a picture of the Eiffel Tower on The Graphics Fairy. I am sure many of you already use this site (because it's great). She has so many images that you can use for free. I love it when there are no strings attached to an image! Use at will! You can find this image of the Eiffel Tower by going to The Graphics Fairy and clicking on the word, SEARCH at the top tool bar. All the categories of images will come up. Now click on Travel. Now just download the image you want. Once I had the image, I opened a new document and placed two of the same image on the page. You never know what size will be just what you need (especially in a round opening) so I printed one slightly bigger than the one I thought would work. Does that make sense? Sure enough, the larger one was the ticket. The smaller looked great in this one. I want to seal the image with Mod Podge before I put it on the cover of the little book. If you are going to use Distress Ink, you need to do it now, before the Mod Podge layer. I took this picture to show you that the Distress will color the Mod Podge, but not to worry it stays looking nice and vintage if that's the route you want to go. I changed it up and did not use Distress on the frame I picked (I know Sue from Florida is going to think I have lost my marbles). I just wanted to see what it would look like (probably better with Distress, right?). Oh well, too late. So while that is drying...I cut two pieces of chipboard for the cover. They are 4 3/4 x 6". I cut a piece of Sticky Back Canvas in Natural color a bit bigger than the two pieces of chipboard. I left a good 1/2" between the boards for a spine. then arrange the chipboard on top, pressing them down so they are adhered. Now fold down the top and press down. Then the bottom. For the sides, there are multiple ways to finish them off. I just clipped off the corner and then folded it around. I cut a piece of fabric so it would fit the book cover with a 1/2" edge showing. Working quickly, I painted on an even layer of Mod Podge (once side at a time). I know the edges are raw. But once the Mod Podge goes on you can hardly tell. I admit I was quite surprised at how good it looked and I was glad I didn't waste the time the fold edges under. btw, I did not put Mod Podge on top of the fabric, only under it. Now repeat on the other side. Press down with your hands or you could use a brayer. Be sure to press down in the center of the spine. I turned the cover over and sprayed with one of the new 7gypsies glimmer mists (post card) to give it an aged look. I added the Eiffel Tower to the center with a tape runner. Then added more Mod Podge to the back. Make sure you go all the way to the edge. I centered the frame on the cover (when the book was closed) and then opened it up so I could press it down really good. You might even put a heavy book on it for 5 minutes just to really secure it. Now lets make some pages. I cut 6 pieces of cardstock to fit the book. Basically the same size as the fabric piece. Fold each in half and score with a bone folder. Gather 3 pages and stitch them together following the score line. 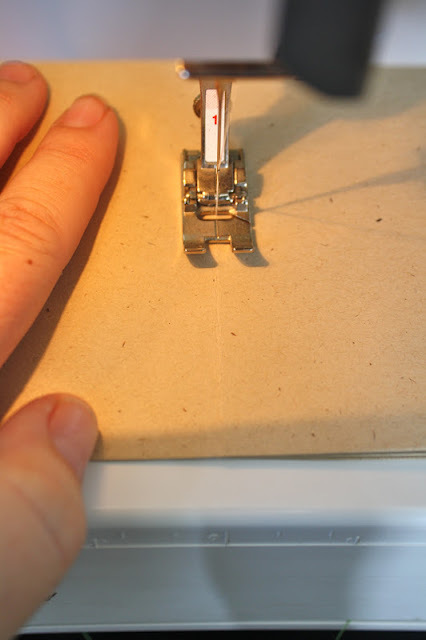 I did use a bit bigger stitch length than standard. repeat on the second set of 3 pages. Time to sew it to the spine. Needed: one big needle and some waxed linen. Make 3 holes in each set of pages (signature) with an awl. I start from the outside (because that where I want the tail to be). So it up through hole 2 and down through hole 1. From hole 1, go all the way down to hole 3. Now from 3, back to two where we started. And now the two tails are together so you can tie them together. Repeat for the second set of pages. And the last thing...a bit of old lace as a closure. I just slipped it under the waxed linen to keep it in place when the book is opened. I have my little book right here with me in Paris. I am filling it up with ideas and sketches of things I see. I am sure when I get back I will finish the cover with numbers, words and a bit of glitter. Because what's Paris with out a bit of glitter? Have a wonderful trip! I'll be here in cold CT making a little book (that maybe I'll use one day to journal about my trip to Paris!). I hope you have a grand time in Paris! Enjoy yourself and thank you so much for the tutorial for that sweet book. WOW!!! This is a fantastic tutorial!!! I hope to visit Paris someday too! Thanks for the label link...I LOVE GF too! Lucky you!!! I hope that you find lots of inspiration and goodies! Can’t wait to hear and see all about it!!! have great stories and some great finds. Can't wait to see what else you come up with. Have a wonderful time in Paris! How thoughtful to post such a detailed tutorial on your Paris book! Bonnes vacances! Have a wonderful time in Paris !! The book is just precious ! Thank you ..
All the way to Paris, huh? St Pete and Whim So Doodle would have been sooooooooo much closer!!! Have a great time. Can't wait to see all the goodies you find. Thanks for thinking of us! Have a super trip! Paris - how magical is that! Have a wonderful vacation and let the inspiration flow! Thank you for the wonderful tutorial--you make it look so easy! Thanks for such a great tutorial...especially including the links for the frames and graphics. 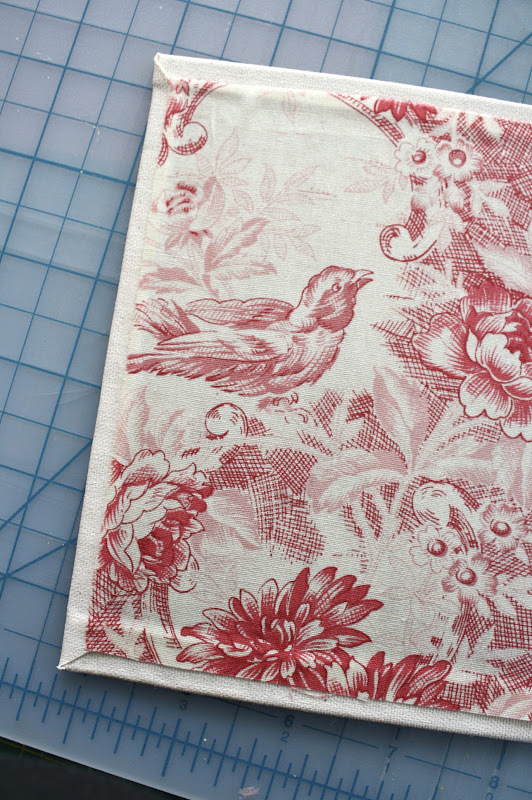 I love the idea of using the sticky back canvas for book cloth, too. Hope you have a wonderful time in Paris, Paula. Bon voyage!